This Study Snacks care package is sure to boost your favorite student's esteem. Whether away or at home, any student would welcome this heartfelt box of goodies and treats. Prepping for a long night of studying can be taxing and getting ready for that final exam can be nerve racking! 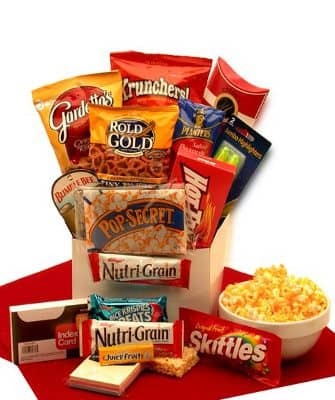 Get your special students on the right track with our Study Snacks Gift Box Care Package. Whether at home or away at college, it's a great esteem booster to receive a heartfelt box of goodies and treats. We've even included index cards and highlighters to make sure they don't run out of steam.